Well these were super easy peasy to make and quite delicious! Is it wrong that I want to hide them from my kids? 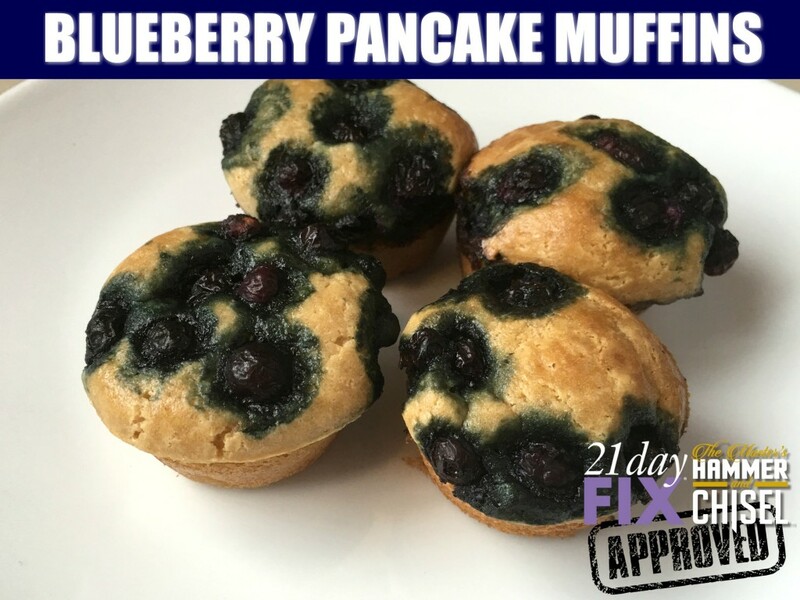 I am starting the 21 Day Fix Extreme again this week, and these are approved for the meal plan! 🙂 I like them because they are not sickeningly sweet – but just enough to satisfy a little sweet tooth without making you feel like you need MORE! *I made 24 MINI muffins! If making larger muffins, you’ll need to adjust the baking time. Preheat oven to 350 degrees and spray your muffin tin with cooking spray. Place all of the ingredients except the berries into a blender or food processor and pulse until smooth – it will be thickish. 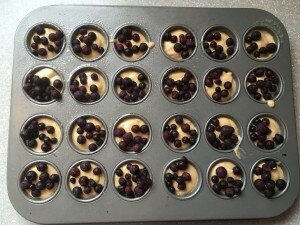 Fill the muffin cups 1/2 – 2/3 full and spoon the berries on top. Poke them in a bit and they will sink as they bake. Bake for 10-15 minutes, until the tops are lightly browned and spring back when you press them. Serving size = 4 mini muffins! CLICK HERE to see what’s on sale this month! CLICK HERE to join my next challenge group for daily support, accountability and motivation!